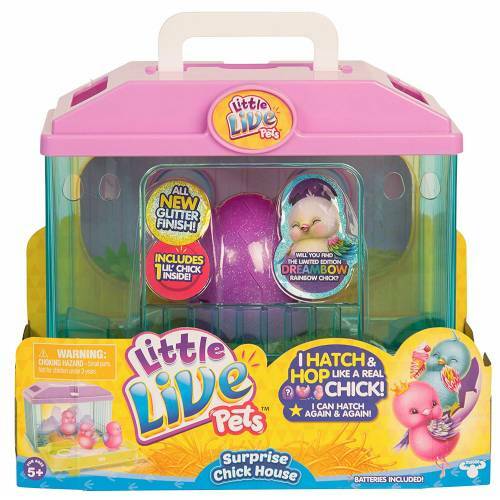 Place your surprise Chick egg inside their house and keep them safe and sound as you carry them around! Watch & Listen in amazement as your chick taps and chirps inside the egg, then hatches out & hops about! Your super-cute Chick can be hatched again and again for endless fun! 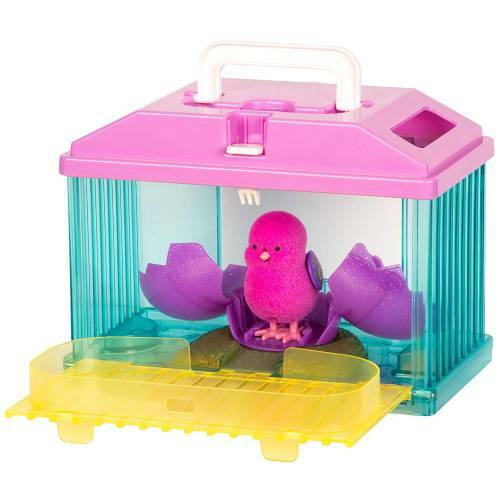 The more you pet your chick, the more it will chirp and sing. Fold down the wall of your chick house and watch your chick explore! 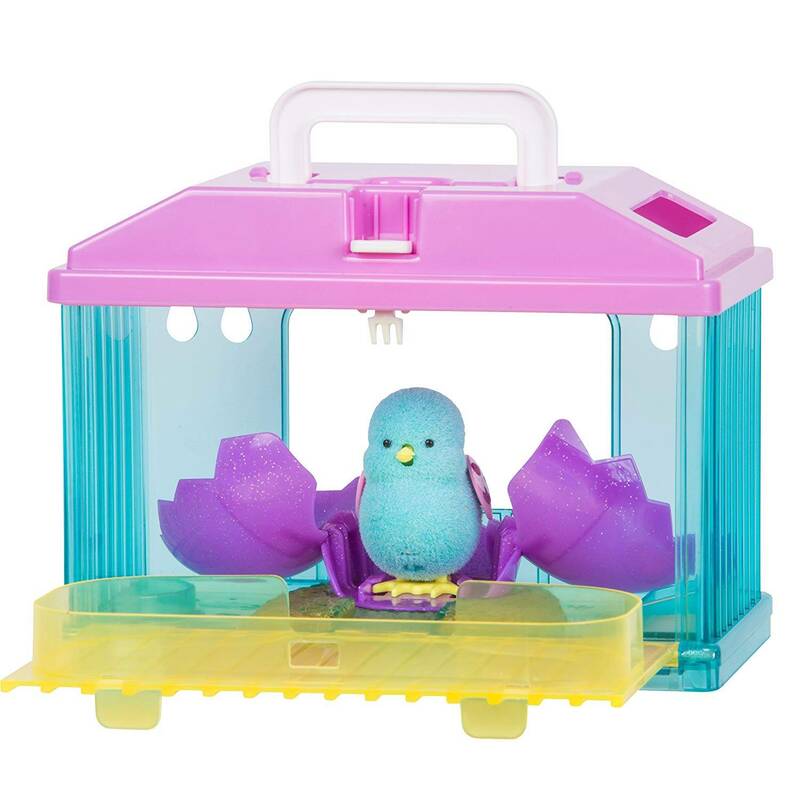 It's the best little Chick house in town! There's 2 styles to collect. Includes; either Coney the ice cream Chick or jewel the princess Chick… or will you find the limited edition dream bow Chick? 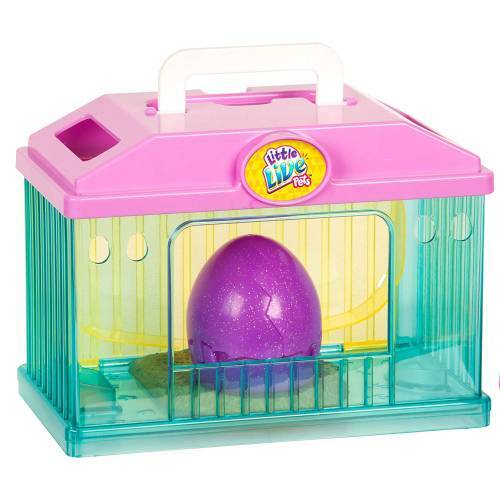 You'll find out when Your chick hatches out!